It is rare that I write Free Writes two days in a row, but I am so happy about feeling better that I want to should it to the world!!! You really know when you are sick when you truly feel BETTER! I do not think I have the four week sickness like most people had. We will see if this new keyboard sitting on top of my old keyboard without the "O" letter working will suffice and not give me carpel tunnel or something. I am listening to our favorite Christmas CD. It just changed to the more rocky Mannheim Steamroller Christmas. Sort of shattered my more somber morning, but it is making my fingers type more quickly to the beat (expect typos. just sayin'). Disclaimer: Tyndale House Publishers has provided me with a complimentary copy of this book for the purpose of this review. The day before receiving this book from Tyndale House, I met with a group of believers who all lamented the fact that they had never read through the entire Bible and felt like they did not totally understand the overall story from Genesis to Revelation. This book could not have been more perfectly timed! I truly believe that this will be a helpful first step for this group and beyond. I remember the Walk Thru the Bible Seminars that were very popular many years ago. Chris Tiegree has brought these seminars and more to book form. He really emphasizes the whole point of God's longing for relationship with us and brings out the Scarlet Thread of Redemptionpointing to Jesus that is woven throughout all of the Hebrew Scriptures. His writing is beautiful and makes you want to draw near to God. Tiegree communicates the key to what life is all about. Bravo! I am keeping the book cover large so that you can read the different personality types. I have taught the Myers-Briggs Type Indicator for 25 years, but this is the "new" thing buzzing the personality typing world, and it isn't too bad. It was nice to read through it, and it helps me understand one of the girls I used to meet with since she is really into it. Some people have a hard time understanding the Myers-Briggs. So, I am not going to argue if this simplifies it for people. I am an ISFJ/ESFJ, and guess what? The 2 & 9 both align with that. It was a fun, quick, read. Millard has done it again in an excellent book that weaves together history, biography, medical discovery. River of Doubt is a hard act to follow, but she followed it well! I did not know much about the circumstances surrounding the Garfield shooting. So interesting! Garfield had the potential to be a very good president. He certainly seemed to be a wonderful man. I couldn't help but think that American doctors, who refused to accept documented evidence that germs are real, were very responsible for his death. HOW IRRESPONSIBLE and arrogant on their part. UGH. I got this from the publisher to do an Early Review. I liked it. It is a "primer" for Spiritual Warfare for the neophyte who wants to get intentional about intercessory prayer for others, the community, nation, government, and world. Although the material is quite basic, even an experienced prayer warrior will find himself or herself reinvigorated for the battle. All the contributors used an abundance of Scripture to give a basic foundation for understanding the purpose of prayer and to give examples of prayer by people in Scripture. The last part of the book has all of these verses printed out in their entirety. In addition to the abundance of Scripture, it has practical suggestions too. It has everything you need to become equipped for the battle! I still think C.S. Lewis is so much smarter than I could ever hope to be. But I do not envy brilliant people, they inspire me. C.S. Lewis inspires me. He is so deep. He is so profound. I felt like I needed to stop my iPod after every sentence to fully digest and appreciate his words. I could never say it like he does. Brilliance. Pure brilliance. Signs of the Times BY PAUL LAURENCE DUNBAR Air a-gittin' cool an' coolah, Frost a-comin' in de night, Hicka' nuts an' wa'nuts fallin', Possum keepin' out o' sight. Tu'key struttin' in de ba'nya'd, Nary step so proud ez his; Keep on struttin', Mistah Tu'key, Yo' do' know whut time it is. Cidah press commence a-squeakin' Eatin' apples sto'ed away, Chillun swa'min' 'roun' lak ho'nets, Huntin' aigs ermung de hay. Mistah Tu'key keep on gobblin' At de geese a-flyin' souf, Oomph! dat bird do' know whut's comin'; Ef he did he'd shet his mouf. Well, my soul is watered today. Nancy keeps telling me that when she goes on her big runs up into the hills, she has a spring that reminds her of me, and she prays for me based on the spring. She keeps saying that is always flowing, even in the heat of summer when all the other springs in the area are dry. Then she texts me and tells me. How sweet. I got this as an Early Reviewer book off of LibraryThing.com and promised a review. It is the author's second foray, and I have been in the mood for Christmas reading. So it was perfect to read on this dark Saturday before Thanksgiving. I also wanted to get this review out so that others could be encouraged to read it during the Christmas season. It is a simple, sweet novella; perfect for a cozy read next to a fire during the Christmas season. The mystery part is pretty easy to figure out and a bit contrived and unbelievable (The parents couldn't find their daughter for 15 years in today's world when she went by the same name and was only a state away? ), but I still wanted to keep reading because I wanted to know how it would all turn out. That is a sign of a good writer. I will read the first novel in the series now! This was a read for a new book club that I just joined. It is a simple and easy book, and the writing is pretty good. I loved the back story centered around England leading up to and through World World War I better than the actual mystery. The mystery wasn't that clever and pretty predictable, but I suppose it was hard to get through Maisie's back story and a current mystery in one book. It is interesting to note that I had started The Casual Vacancy by J.K. Rowlings before Maisie Dobbs, but I had to put it down because it was TOO CRUDE! I thought the writing was better in Maisie Dobbs too! "After the mission, the Navy identified a need for a force capable of successfully executing those kind of specialized missions and tapped Richard Marcinko to develop a maritime counter-terrorism unit called SEAL Team Six. The team practiced hostage rescue as well as infiltrating enemy countries, ships, naval bases, and oil rigs. Over time, missions branched out to counter-proliferation of weapons of mass destruction." p. 17 This eventually became DEVGRU (United States Naval Special Warfare Development Group) which was the author's unit that killed Obama. Since September 11, it has gone to Afghanistan and Iraq to target al Queda and Taliban commanders. They are also the guys who rescued Jessica Lynch in 2003. I love it when a book gives you a personal story within a major event in history. This is the story of the "exfiltration" of six Americans who escaped before the take over of the U.S. Embassy in Tehran, Iran in 1979. They found refuge in the Canadian Embassy, and Mendez concocts a scheme to get them out of the country by having them pose as a film crew for a science fiction movie called Argo. I had seen the movie by Ben Affleck, and this book gave me the background. Some reviewers have not liked all the detail, but I LOVED all the background and history that the movie cannot give you. And, of course, the Hollywood version adds more suspense and drama than actually happened, but that is OK with me (It is a great movie)! I highly recommend this book even though it does have some bad language. I love this book cover (I read the free Kindle version). 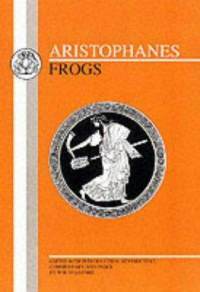 This play by Aristophanes is about war and it unsavoriness. It involves a dung beetle carrying Trygaeus, an old Athenian, to the home of the gods, Mount Olympus, so that Zeus can save Athens. When he gets there he find the god of War in charge and the goddess of Peace buried. Tragaeus saves the day by digging up Peace. I thought this was on my list, but it was not, but it was pretty painless to read. This play is referenced to in Plato's Apology as contributing to the trial and execution of Socrates. Since I read Apology recently, it was valuable to read this play. This play involves a father who is enraged by his son's spendthrift ways. He begs him to enroll in a school to learn about esoteric science and sophistry in order to outwit his creditors in court. Merriam-Webster's Collegiate Dictionary. (10th ed.). I am now going to complete the Invitation to the Classics List (see link for the complete list in the "pages" section above). I started it in 2002 (this week, in fact). I was hoping it would help me to teach a high school literature class when my kids got in high school, but I ended up facilitating a literature class using material from www.thelmaslibrary.com instead. I also opted for my personal reading to come from The Well-Educated Mind when it came out in 2003. I love the Invitation to the Classics List because it asks questions from a Christian worldview and the list includes many devotional classics that I have always wanted to read. In fact, I read books from this list when I just couldn't take another depressing, hopeless, modern book from the 100 Great Books List. LOL! I could not agree more with this statement. Thus why I continue my pursuit of the "Well-Educated Mind." It is all about that balance baby! "Feed your soul with as much beautiful art as you can find. Consider those things which are generally regarded as classic, beautiful, and important. It has long been my belief that certain works of art or pieces of literature rise to prominence and remain there because they possess an unique or timely insight into what it means to be human. Read great books--look at great paintings--listen to great music." She is the best songwriter and singer! Setting the timer for 20 today. Refer to the rules and shutter when you see all my errors, but don't judge! Try a free write yourself. They are so fun! Just finshing up a year long study of the Old Testament with Carol Ann Weaver. She said I would look at advent hymns with new eyes after studying the OT in its entirety and boy! was she right! Meditating on the words of "Come Thou Long Expected Jesus" and "O Come, O Come Emmanuel" (one of my favorites! )...can't wait for Advent this year!Thus why I do this crazy thing called the Bible Book Club and why I am writing a twenty minute free write today. I used Free writing while home educating my children. Sometimes (maybe most of the time), they really disliked it. I found it more effective for me than them. So, I have adopted it as a way to get what is on my heart down on paper (or in the computer) before I start writing in the mornings. Most of what I write is pretty "G" rated, and I am fine with others reading it, but this is not a public blog accessible on any search engines. Most would have to be connected to it some way, and I have been surprised at who is reading. Sometimes people come up to me at church and say, "What you wrote really helped me cope with this or that." I have no idea how they found my blog! I really understand the rules of writing and grammar and am an excellent speller. That said, I often type so fast that I do not notice all those things as I let my fingers fly. I finished this months ago, but I was comparing my list at LibraryThing to this Blog list for 52 in 52, and I had forgotten to include this in my list of reading. From January to Easter I wrote a blog called The Gospel Harmony Book Club that takes a person chronologically through all four gospels. I coordinated it with the days of the Holy Week too (From Jesus' arrival in Bethany through His entry into Jerusalem to Resurrection Sunday). It was written in a "Beta" form with the intention of REALLY using it for an alternative way of reading the Bible in YEAR THREE of the BBC (Bible Book Club) next year, but it got almost 2300 page views in 88 posts! Go figure! I am not sure how people knew about it. I might have linked it to my Facebook page, but I cannot remember (By the way, if you want to friend me on Facebook, I am Carol Ann Weaver, just tell me that you know me from this blog since I don't know your name). I had a good study in Romans with Rachel early this morning, and I had some calls to make afterward. I am finally getting down to writing. This is my "calm before the storm" as I will have Bene, childhood friend, coming at about 3:45 pm today and staying through Sunday. I have two other friends coming from out of town but not staying with me. Wondering how it will all work out with seeing people. It is the 40th anniversary for TITLE IX women's sports, and there is a big "Parade of Champions" Banquet tomorrow with 450 people at Reiser Stadium. I am dreading the big crowd, but I am glad I am participating being that my weekend guest is attending. Peeka Boo Snowflakes Holiday Card Click here to browse Shutterfly's holiday card collection. View the entire collection of cards. The most extraordinary thing happened on Friday. I was busy with other things, but the doorbell rang. I must admit, usually I check from the upper window to see who it is, if it is those really pushy door-to-door people (The last one rang the doorbell over and over in succession at the first attempt to rouse me and then ran into the street so he could move on to the next house if I didn't answer the door. I thought that was so rude that I didn't answer the door), I don't answer it. I didn't check and had two sweet Latter-Day Saints gentleman at my door. They are so sweet compared to the Jehovah's Witnesses whom I invited into my home, and they proceeded to call me an idolator and refused to pray with me when I asked them, telling me they couldn't pray with people like me.